Taxonomically speaking, football players are positioned among a unique species of the genus known as humankind. The naked eye’s understanding of them is often belied by a kinetic inertia, whereas -in reality- their casual walking gait hides an accelerant powderkeg, their commonplace posture concealing a furled synapse of fury. Psychologically speaking, one could posit that footballers are a constrained amalgam of split-personalities due to the fact you’d never know such a vicious hitter stood in your midst unless he strapped on the pads and unhinged some poor sap’s vertebral column before the next whistle. From personal recollection, time and again I’ve beheld hellacious, savage and brutally violent turf-roaming monsters who only hours earlier gave one the impression of a lackadaisical, mild mannered & bookish Clark Kent-type. But don’t for a second let the eyeglasses fool you; it’s as if the scent of trampled grass or the staccato pop of a lone shoulder pad had the power to unleash, to snap a trip-wire, to trigger the fatal release of an inner madman upon an unsuspecting and altogether soon-to-be-maimed opponent. Just the same, one is quite often unable to tell the studs from the duds by physical traits alone. Sure, you might find a chiseled Adonis in the lineup on rare occasion, but for the most part footballers are blocky, utilitarian fellows of pedestrian proportion, inhabiting garden-variety physiques save for one tell-tale give-away: a larger than average backside. The entire pelvic region’s musculature is their engine house of speed and the base of all power for the accelerating and sprinting, the stopping and starting, the pushing and shoving, the planting and leveraging. In truth, the Cornhuskers of that day were craftsmen whose delicate and intricately knit tool -their bodies- they held intensely intimate. Conversely -and in defiance of this fact- they more than often punished this precious tool with indifference of abandon. It’s a paradox, to be sure. What’s remains for a coaching staff is to then meld eleven of such kind into one simultaneous organism of efficiency, churning the chaos into collusion, the singularity into synergy, and plotting a course by harnessing the Shetlands, Clydesdales, mustangs and thoroughbreds to the same wagon and then riding it… riding it hard to a mid-winter’s finish. It took a master’s touch to accomplish this annual run repeatedly. Question: Hey, Vershan, I hear you’re doing a little coaching. Is that right? Vershan Jackson: I’ll always be coaching. People always would kid around with me about me standing next to Coach Osborne all the time and trying to get on TV when I was younger. And they were partly right. (laughs) But the other part was I wanted to know what was going on, what play he was calling, what he was doing and all that; figuring out what he wanted to do. Q: What did you pick up from standing next to Coach Osborne all the time, then? VJ: The way he carried himself on the field, his play-calling. He had a lot of the plays he called memorized and he would just put a complete game together… and the adjustments that he would make on the fly. I don’t know if there is another coach that made the type of adjustments that Coach Osborne made during the game. His calm, cool demeanor? But there were also times when we needed a good talking to. I remember the Missouri game he told us, “Just keep playing, keep fighting.” Like the Miami game, that halftime speech, too. He said, “We’re gonna keep hitting them in their mouth and they’re gonna break.” And that actually happened. You even take Coach Osborne in practice: our practices were tougher than games. A lot of people don’t know that. They think Coach Osborne was a soft-spoken, great guy, but when we put the pads on it was blood and sweat. He worked us hard. Q: So you’re with the Nebraska Football Academy? VJ: Well, I was working recruiting as an intern at the University and an opportunity came along to be Director of the Nebraska Football Academy, which is a year-round football academy at the Abbott Sports Complex. We’re really trying to build the fundamentals into these kids and put that football spirit back in the kids again, and I have a lot of former Huskers as coaches. We do all sports combines: 3 or 4 of those with 500 kids where we basically test the kid from 5 years old on up to 18. The pro agility, the 40, the vertical jump, we teach them how to do the different events the correct way. If they make it to the NFL Combine they’ll know how to do that correctly. We have football camps in Lincoln, Omaha, Grand Island, and Mitchell, Nebraska, which is about 10 miles from Scottsbluff. 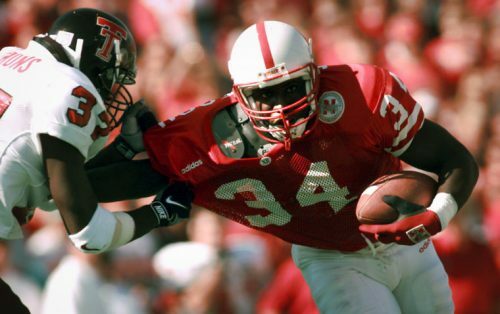 We’re putting together former Huskers to go out and really show and get football inspired back into the state of Nebraska back to when I was growing up. With video games and all that we kind of get away from going outside and playing a pickup game of football with your buddies, because back when I was growing up we were always outside doing stuff and staying active. Now with the video game era a lot of kids are couch potatoes. We want to steal some of that time away from the video games and the TV and get the football going again in the state of Nebraska, because you’ve got to have your recruits coming from the state of Nebraska. When I came out we had about 8 or 9 guys, and recently they had only two one year. 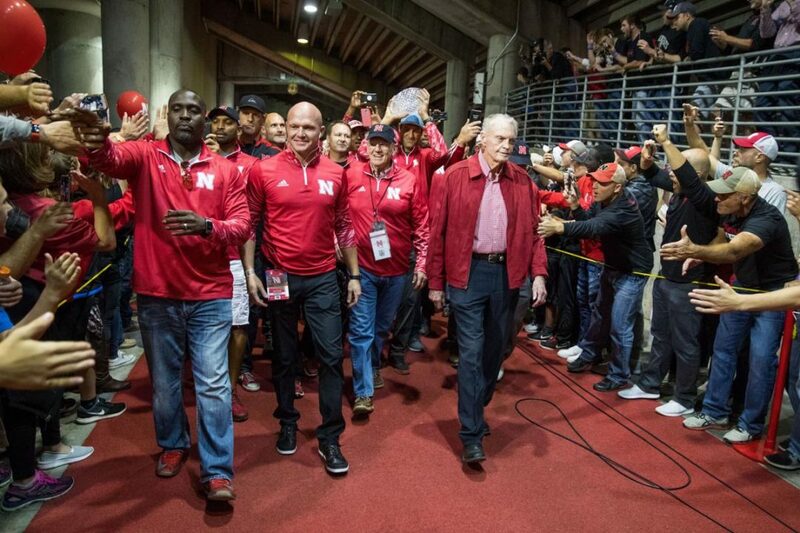 Getting football revitalized in Nebraska is our goal. Q: Any other names helping out that I might be familiar with? VJ: Octavious McFarlin and Jamel Williams. We’ve had Tommie Frazier, Dwayne Harris, Riley Washington, Matt Hoskinson, and some of the younger guys, Terrance Nunn, Armando Murillo. I talked Terrance Nunn into giving football one more chance at the next level and told him to give me 6 weeks, and he just had a great game for the Patriots last Sunday. Q: Wow, Vershan. Sounds to me like you’re a modern-day hybrid of Coach Osborne, Boyd Epley and Ron Brown. Q: So what year was your first fall camp in Lincoln? VJ: It was ’93. That might have been the first year without freshman football. Q: You probably got to know Doak Ostegard or Jerry Weber or George Sullivan right away? VJ: When I first came in Doak was in the freshman locker room. My whole career Doak taped me. (I went to Jerry once or twice.) Once you get a trainer that you liked and they taped you you would kind of stick with them, so me and Doak became friends real quick. Stuff would happen over the weekend. It was funny, Doak would ask me about certain things and I’d be, ‘Doak, how in the world do you know what kind of things happened over the weekend? Are you an investigator of some kind?’ Doak’s always been a good guy and one I missed the most, as far as training goes. George Sullivan, he was such a hard-nosed guy, but he was a loving guy, too. George would ask you a question: “Are you hurt or are you injured?” If you were injured then you sit out, and if you’re hurt then you go back in there. Q: Now, you spent some time between fullback and tight end, didn’t you? VJ: Right. I tell you what -for the record?- Coach Solich is the best running backs coach, ever. I learned so many techniques and so much from Coach Solich: from how to run the ball, how to carry the ball, how to block people, just being a better running back in general. He was awesome, and it was always physical between the backs. I enjoyed my two years of playing fullback. I remember in ’95 we were loaded. You had Makovicka, Clinton Childs had just moved over, you had Brian Schuster. You had a host of fullbacks and I was sitting there probably about 4th or 5th on the depth chart (and they only took two fullbacks on the travel team), and I was tired of waiting and wanted to play. And they came to me and said, “Hey, we’re low at tight end. Would you like to make that move?” And I thought, ‘Would I rather be at home and on scout team or do I want to play a little bit?’ And I made the decision: I wanted to play. VJ: Went over to ol’ Coach Brown. The change in pace was that you had to go from running the ball by getting the ball in the backfield to having to go 50 yards downfield and trying to catch the football. Adjusting to catching deep balls was the toughest part because it was something I never did before. Coach Brown did a good job right after that and got my eyes checked. I was out there with no contacts and couldn’t see a lick, but he got me contacts and everything became a little clearer to me. Q: All of a sudden you start seeing the thread and the grain of the ball? Q: So you developed some tender hands after a while? VJ: Coach Brown is a great coach: he knows exactly what you needed to do to be better. Especially tight ends; catching a hundred balls, catching tennis balls, catching the X on the ball, catching balls on the pole. It all worked out in time. Q: “Catching balls on the pole”? VJ: We had the poles, where you had to sit down and lean into the goal post so your arms are around the goal posts. And we caught balls like that. Every Thursday we’d have to catch hot balls from Coach Brown. At one point I had the record where I think I dropped 15 or 16 straight. It was where he was 5 yards away and he’s bringing the heat; it’s a low ball and he’s bringing the absolute heat on you. He did a great job of teaching how to catch the ball and secure the ball. Q: Not just catching the perfect passes, right? VJ: Any pass. Bad balls. Tipped balls. VJ: Coach Brown is so consistent. I have a chance to watch him coach now. He’s the same now that he was 10-15 years ago. His mindset was for us to outwork everybody out there on the field. And when you have a coach that pushes you to be great? He pushed us to be perfectionists, to play hard every single snap. 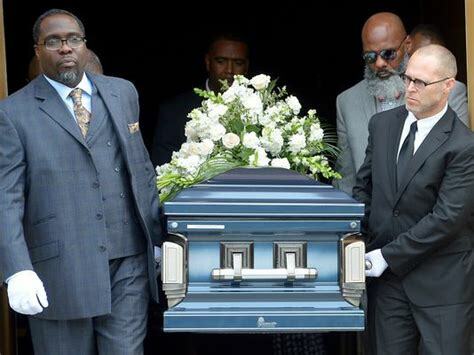 When we made mistakes he would definitely correct those mistakes, but also wanted us to show him that we learned what he taught us on the football field, when the lights were on. He always wanted us to pay attention to details, to be great, great, great blockers, technique wizards. And playing tight end at 6’, 245 lbs. I had to go against Grant Wistrom and Jared Tomich and Dwayne Harris and even, at times, Trev Alberts. He knew that for me -especially because I was undersized at tight end- that I would have to be a great technician when it came to blocking, getting my hands into a guy’s chest first, driving my legs, keeping my head up, all those different things. Coach Brown, he stayed on top of them. Q: Did coming from the fullback position help in that regard? VJ: I think scout team helped me, because on scout team you were playing multiple positions. And I think on scout team, that’s where I learned I could play tight end, because I’d have to line up at tight end at times and block those guys. So my time at fullback definitely helped me, but being on scout team and going against guys that are Blackshirts in that era? You’d either get beat up every day in practice and washed out or you’re gonna step up to the plate and get some courage and heat in you and learn how to fight. Q: Any memorable practices stand out to you going against those guys? VJ: My most memorable practice was ’95. It was a bye week. We were getting ready to play Oklahoma. Normal practice schedule with the exception that we had a scrimmage on Friday: ones against ones, twos against twos. That was the most physical practice that I’ve ever been a part of. You had Jamel Williams and Clinton Childs: they had one of the most ferocious hits ever in practice. It stopped practice, that’s how hard they hit. It was like two battering rams hitting up against each other. You could hear it echo all the way to the top of Memorial Stadium. It was the most aggressive, fireworks everywhere. It was just hitting, hitting, hitting. Then we went goal-line situations. I think it was Ed Stewart and Clinton Childs. Clinton, again. And Ed stopped Clinton cold on the goal line and it was just wild. That’s probably my most memorable practice. It was so, so physical. And it was competitive. Q: And a week later didn’t we shut out Oklahoma 37-0? VJ: Yes, a week later. We did the things that we did to football teams in that era because we practiced harder than anybody else. Our practices were harder than the games. Once we got to the game it was easy. A lot of us couldn’t believe how easy it was come game time because we went against each other so much, and now it was time to set that aggression off on someone who had absolutely nothing to do with us. It was like a bunch of wild dogs out there. It was fun. It was a great time. And at practice there was always that mystique of, “We don’t lose at Nebraska. Losing is not an option.” That’s how we felt. In my five years our career record was 60 wins, three losses, and three national championships. Our mindset was, “We refuse to lose.” And we had to practice hard in order to achieve that. Q: Wow, so you have three rings. Do you ever break them out? VJ: No. You get a little older and you don’t necessarily like having people come up to you asking this and that. I kind of outgrew that about 7 or 8 years ago. (laughs) It was good to get those rings, but once you get older you know that the hardware is always good but it’s what in your heart that people need to understand. It means more what’s in my heart than what’s on my fingers. Q: As far as saying what’s in your heart, what did you take away from those days? VJ: In order to be the best you have to outwork all the rest. And that’s in sports, life and school. 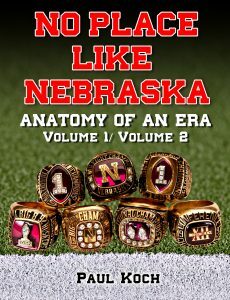 When we played at Nebraska in that era? Number 1 was that we had a lot of athletes, and number 2? We were smart football players. Across the board -of course, you had a couple knuckleheads in there- but across the board Coach Osborne recruited smart guys. Guys were smart, but they were also physical. You know, football is a tough sport. With some of the vanilla offenses we see in football in this era, you have to get back to understanding that football is a physical sport and you want the other teams to know that you were the most physical team that they ever played against. When you go out there and express that dominance against an opponent and hit them in the mouth every single play -play after play after play after play- it’s gonna demoralize them. They’ll eventually break. When you do things in practice, you do things at 110%. And you can’t take away a guy’s heart. You’ve got to have heart when you play football, you’ve got to be physical and pay attention to detail. And I think that’s what Coach Osborne was about. As far as teaching how to pay attention to detail, how to be physical, how to love our teammates and play for each other, how to play for your family, play for the coaches, play for the greatest fans in America? You put all those things together and that’s why you have championships. Everybody of the same accord, on the same page, thinking the same thing, going the same way. And when you have 124 guys thinking that same way -from scout team to the starter to the Blackshirts- you’ve got a well-oiled machine.